According to the suit, the contractor required Julio Guerrero and others doing work in the house to take their shoes off and wear booties to spare the Brazilian hardwood floors. 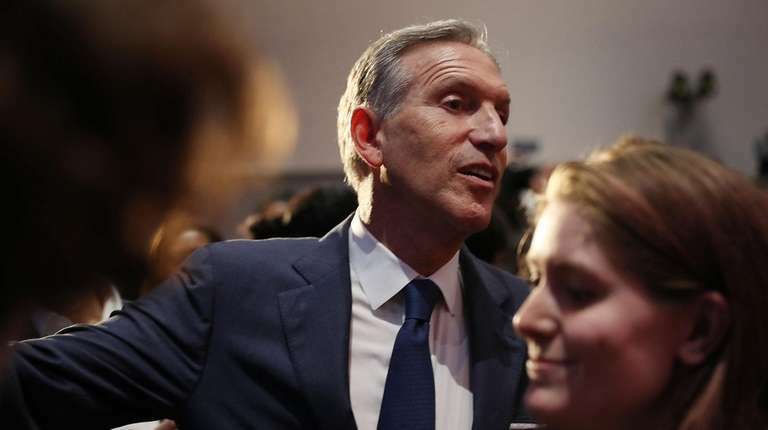 A contractor's orders to spare the Brazilian hardwood floors in an oceanfront East Hampton mansion used by Starbucks founder and possible presidential candidate Howard Schultz resulted in an electrician severely injuring his spine, according to a lawsuit filed this week in Riverhead. The electrician, Julio Guerrero of East Hampton, filed the suit against general contractor Bulgin & Associates of Southampton, the home's owner -- a trust in Schultz's name -- and the trustee in charge, Seattle accountant Loren Hostek. The suit does not specify damages. According to the suit, Bulgin required Guerrero and others doing work in the house to take their shoes off and wear booties. Guerrero had to climb an 8-foot-tall ladder to program some remote-controlled windows in a sprawling gymnasium at the home, lost his footing and fell on June 5, 2017, the suit said. Chakmakian said whoever controlled the work environment is liable for his client's severe injuries, which have resulted in spinal surgery and have left him walking with a cane and unable to work. Normally, that would be the contractor alone, he said, unless the trust that owned the home made the no-shoes rule. Chakmakian said his client had no choice but to comply, even at the risk of his own safety. "You do it the way they tell you to do it, or you go home," Chakmakian said. There is no indication that Schultz himself had any idea of the work condition, Chakmakian said. Wealthy people often set up trusts to purchase and run their properties, Chakmakian said. The idea is to keep their homes separate from their other assets for estate and tax purposes. The trusts then hire staff to keep each home running. Bulgin did not respond to a request for comment. Schultz and Hostek could not be reached for comment.